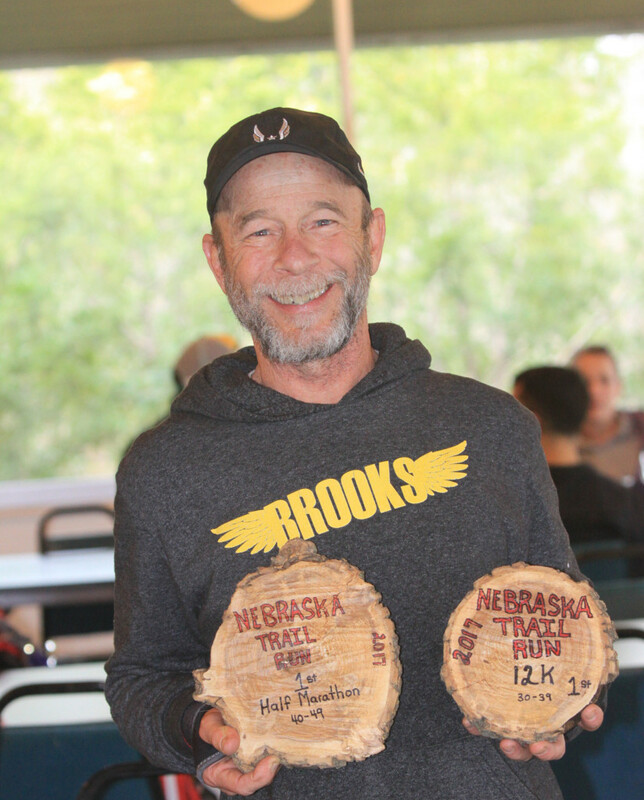 2013- Founder, Nebraska Run Guru Elite, Inc. Team Nebraska was founded in 2001 as a way to advocate for serious and talented long distance runners in the state. From 1997-2002 I served as the Women’s Long Distance Running Association Athlete Development Program Coordinator, a national level position that provided funding opportunities for promising athletes to our USATF National Championship events. I had worked with Nancy Stanley and Mary Amen of Lincoln in that capacity prior to my moving to Nebraska. When I moved here I knew that I wanted to help cultivate, encourage, and promote the very best runners in the state. With that intention I founded the USATF Nebraska Association LDR Program to serve as a platform for my initiatives. In the fall of 2001 I began attending local races and would approach the top finishers and inform them of my plans, often asking them on the spot to join the effort. This yielded some good results, our freshman class, if you will, was comprised of the top local talent to be sure. Of that first group, Ryan Salem is the lone remaining athlete. In 2003 I was introduced to James McGown. I coached James, using the vaunted McLatchie Marathon Training Program, to the first of his 2 consecutive USA Olympic Trials Marathon qualifiers in 2004. I’ve often said that Team Nebraska was built on James’ back. From 2002-2009 I served as the USATF Women’s LDR National Championships Chair. This position, coupled with a thorough knowledge of the USATF Governance Manual, helped me to implement a Club Championships component into all of our National Championship road races. It was also during this time that USATF created the Elite Development Club program and Team Nebraska was included in the original list of 10 clubs. I would send teams to these road champioinship events and we would win, sometimes uncontested, but as the program grew, often against some of the top clubs within the region of the event. Our first Club National Championship was at the USA Women’s Half Marathon in Duluth, 2003. Members of that squad were Machelle Cochran, Rene Kruse, and Christy Nielsen-Crotts. Our men would duplicate the Half Marathon title in Kansas City in 2004, scoring members of that team were Mike Morgan, Nick Rector, and myself. Mike Morgan would become the heir apparent for excellence for Team Nebraska. His 1:04:04 at the USA Half Marathon Championships in Houston in 2005 caught the attention of Keith & Kevin Hanson, and he has trained with them since then, has represented the USA in two World Championships Marathons, and is currently training for the opportunity to make that squad a 3rd time. From 2004-2006 Suzanne Weeder Einspahr was our top female athlete. She had top 10 finishes at both our USA 5K and 10K National Championships and secured spots on two USA International Ekiden Teams, one in China, the other in South Korea. In 2005 we began a sponsorship relationship with the Lincoln Marathon. Race Directors Nancy Sutton-Moss and Gary Bredehoft supported my vision until 2012. In 2007 it became apparent that Team Nebraska should and would become more than strictly a distance running club. There were many talented Track & Field athletes graduating with no where to continue their competitive aspirations. In 2008 We sent a team to Olathe, KS for the USA Club T&F National Championships, our first ever. Since then we have had multiple National Champions and many highlights including our men setting a DMR Championships Record (10:17:58 by Shannon Stenger, Matt Schneider, Nick Suing, Michael Saalfeld) in New York, 2009; Angee Henry winning the “Outstanding Performance by a Female” award in 2010 in San Francisco; and Aubrey Baxter winning the “Most Valuable Female Athlete” award in NYC, 2011. Team Nebraska is proudly hosting the 2012 USA Club Track & Field National Championships right here in Omaha at Burke Stadium on July 6 & 7. I hope everyone will come out to support the Good Mates! We have had Team Nebraska representation at the last 4 USA Club Cross Country National Championships. 2011 was a high water mark when we sent a full masters men and masters womens team, a full men’s team, and 2 open women. The highlight of that meet was our David Adams placing 10th overall and putting his name on the lips of every serious competitor in the U.S. David went on this spring to qualify for the USA Indoor 3000 Meter National Championships. He also won the Stanford Invitational Steeplechase in an Olympic Trials A Standard time of 8:29 (#1 time in the U.S. and #4 in the World!) Last week David joined the sub 4:00 mile club by running 3:58.44 at the Glenn Cunningham Mile in Lawrence, KS. David has given us some of the very best memories in the club’s history and we know he is just getting started. I just have to mention another of my personal favorite moments of Team Nebraska. UNL graduate Peter van der Westhuizen joined the club after finishing up in Lincoln. He was wearing our Red & White singlet at the 2010 Wannamaker Mile at the Millrose Games. To see him competing against the very best milers in the world, wearing our little old jersey, will forever be a moment of wonder. In the midst of advocating for all of this Nebraska talent Team Nebraska has also found time to make a positive impact on the lifestyles of everyone. Our Road Race Management efforts date back to 2006 with 20+ races hosted. We have a wonderful committee that is dedicated to putting on great events for everyone’s enjoyment, regardless of ability. These events are geared toward Family, Fitness, and Fun. (Although we did have the very first sub 4 minute mile on a USATF Certified road course at the 2007 Omaha Mile with Ryan Kleimenhagen of Minnesota running 3:59.) We have had the pleasure of working with numerous local charities including Youth 4-H, Ovarian Cancer Research, Midwest Prostate Cancer Coalition, Camp Carol Joy Holling, Food Bank of the Heartland, Open Door Mission, and the Nebraska Autism Society to name a few. Our road and trail race management efforts continue to grow and flourish. Another important aspect of Team Nebraska is our Community Outreach Programs. The Omaha Endurance Group has been meeting 28 weeks a year for the last 5 years at Millard West track on Wednesday nights at 6:00 pm. I write individualized training for the members that guides them to their goals for the year, and this has been free to everyone. The OEG has grown so large that we have added John Tully and Kelly Crawford as assistant coaches. Coach Linda Barnhart has kicked off her Kids Fit Program as an adjunct to Wednesday nights and it grows by leaps and bounds every week. This entry was posted in Run Guru Says on May 16, 2012.